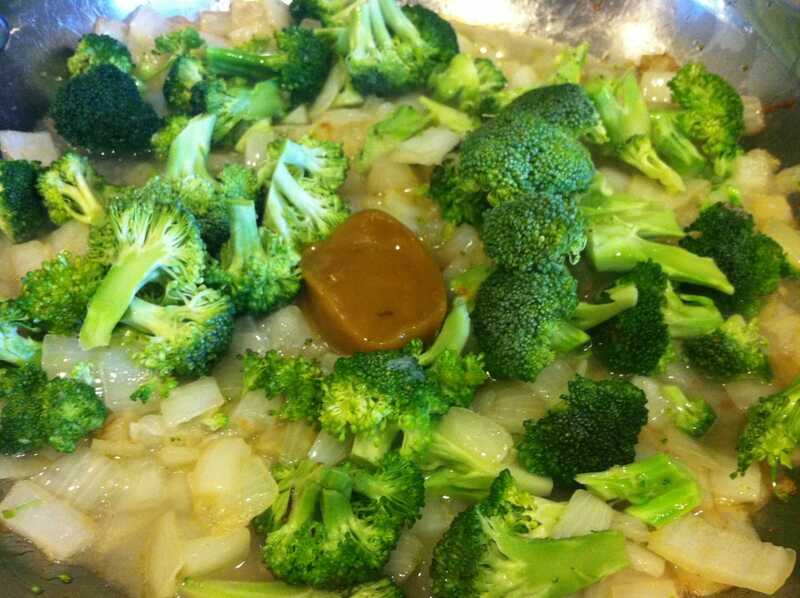 Brown the onions and the garlic over medium heat. 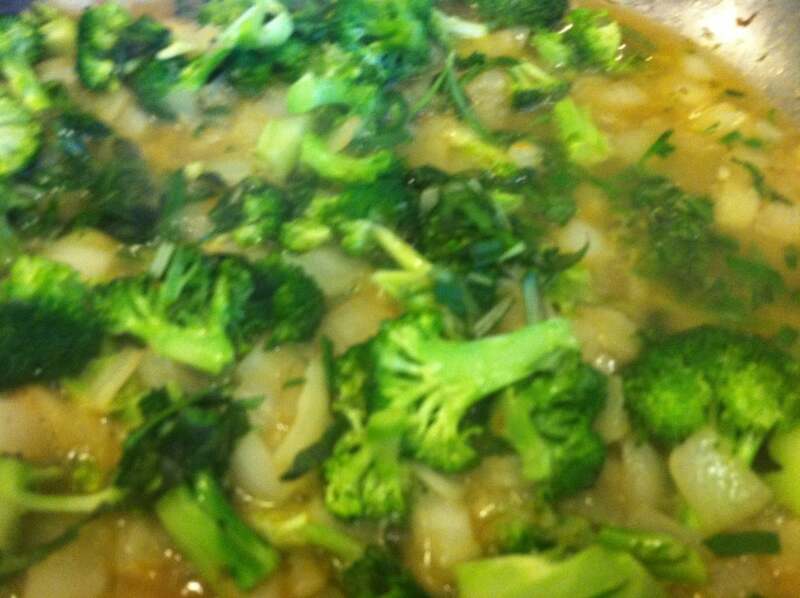 Throw in chopped broccoli, the chicken stock and a 1/4 cup water. Cook until stock breaks down. You can cover if you’d like. 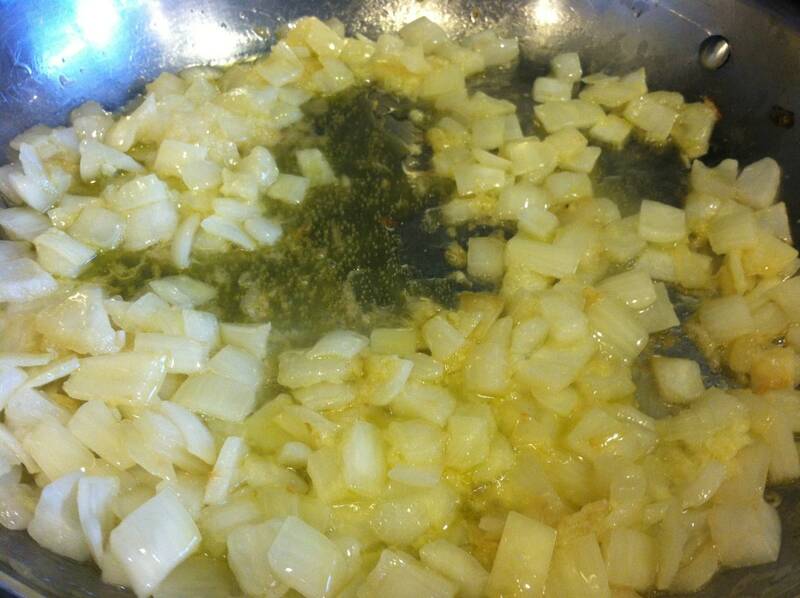 Reduce heat if onions start to brown too much. 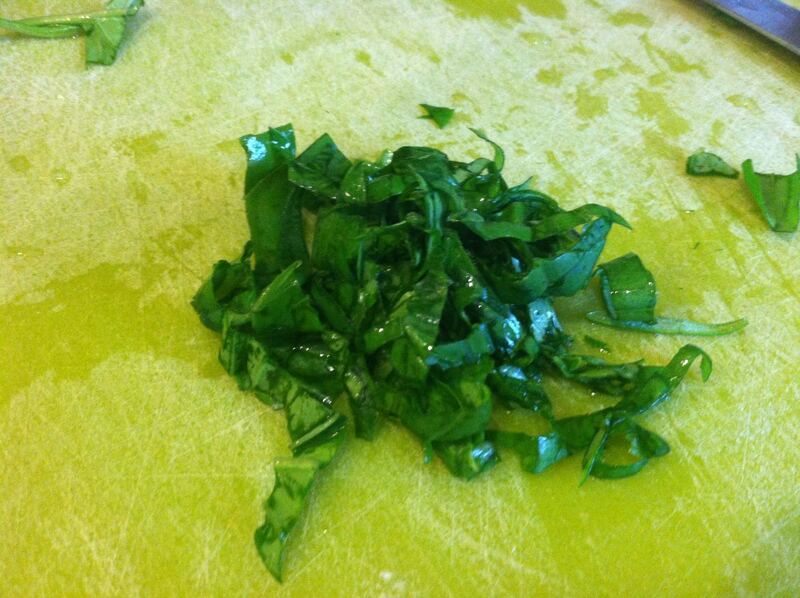 Chop up a handful of fresh basil and rosemary. Add to the mixture at the very end. Cut open an lemon and squeeze your little heart out. Turn off heat and mix with cooked pasta. The entire pan – just pour it in. Toss. Serve! 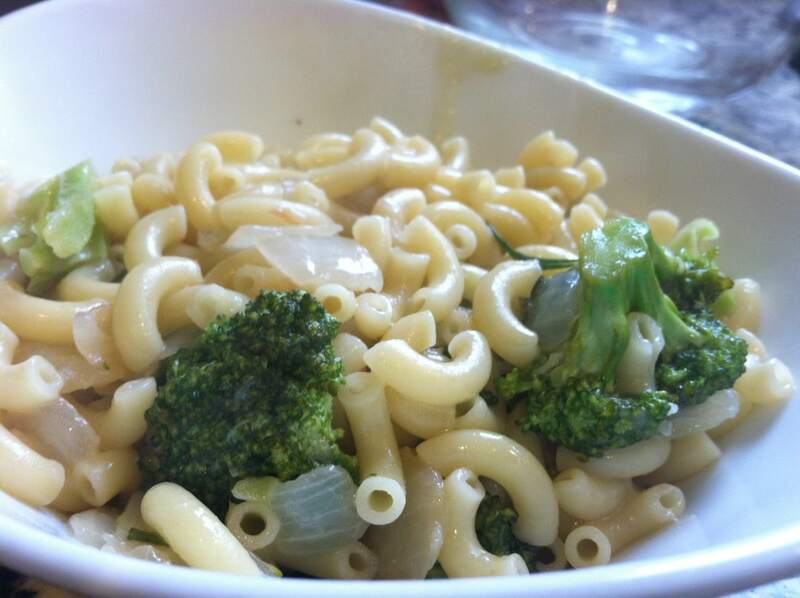 Top with parmesan cheese and enjoy. Want more ‘Inside the Kitchen‘ posts?